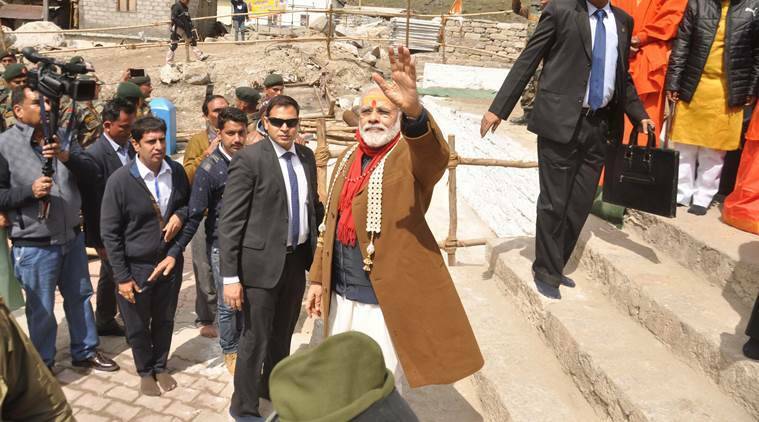 Prime Minister Narendra Modi will visit the Kedarnath shrine on Wednesday, on the day of Diwali, to review work on the reconstruction projects and offer prayers at the temple. On Wednesday, Modi will review the five projects — widening of the approach road to Kedarnath, construction of ghats and retaining walls on rivers Mandakini and Saraswati, construction of houses for the teerth purohits (priests), and construction of a grand ‘samadhi sthal’ of Adi Sankara. Modi is scheduled to reach Kedarnath by 10 am and stay for an hour-and-a half. “The Prime Minister will offer prayers at the shrine and review the reconstruction projects. He will not address the public (from the temple premises),” Ghildiyal said.